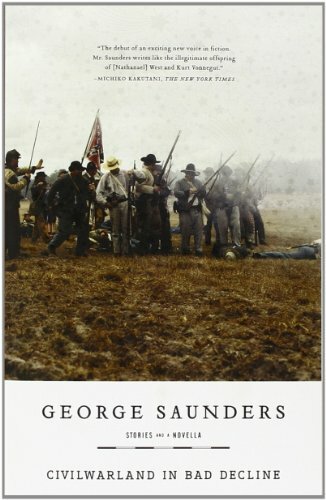 George Saunders is the author of Tenth of December; In Persuasion Nation; The Brief and Frightening Reign of Phil; Pastoralia; CivilWarLand in Bad Decline; The Braindead Megaphone; and a children's book, The Very Persistent Gappers of Frip. His work appears regularly in the New Yorker, Harper's and GQ. In 2006, he was awarded a MacArthur Foundation "genius grant." In 2000, The New Yorker named him one of the "Best Writers Under 40." He is a 2013 National Book Award Finalist for Fiction. He teaches at Syracuse University.